As of today (8/29/17) at noon, the County EOC lifted the Mandatory Evacuation to a Voluntary Evacuation. 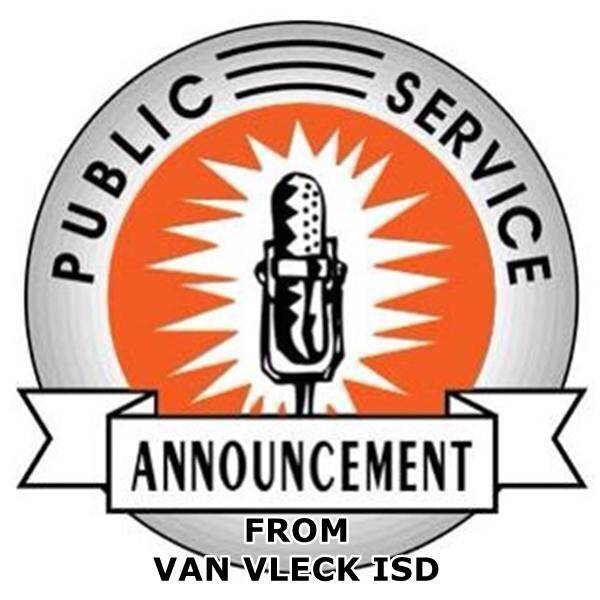 Van Vleck ISD will remain closed at least through Labor Day, Sept 4th. Staff and families should continue to look first to their own safety & the safety of their loved ones. Once we have assessed our facilities, availability of needed supplies, and safety, we will then determine the date & time we will reopen. We are anticipating re-open date will be Sept. 5th. Information will continue to be available on local media, Houston media, and our district website & social media. All after-school activities are also cancelled this week. Van Vleck ISD is consulting with county emergency management office in all decision-making in the best interest of our families. We will continue to monitor and post updates on the district website and district social media. Please be safe and well #LeopardNation and we'll see you soon.